With brand scores plummeting, Tesco needs to prioritise improving consumer perception and start acting like a market leader to win back confidence and trust. It's more bad news for Tesco. Just weeks into new UK CEO Matt Davies' tenure, data from Millward Brown and WPP has revealed brand scores nosedived in 2015 following the worst financial results in Tesco's long history. According to the BrandZ Top 100 Most Valuable Global Retail Brands ranking, consumers are falling out of love with Tesco with brand value crashing 37% and Tesco moving from sixth to 12th place. Meanwhile, characteristic of the sea change in grocery, Aldi and Lidl were among the highest climbers, shooting up 22% and 27% respectively. As Davies takes to his first turbulent month in the job, Marketing sets out some key brand priorities for Tesco. Tesco has taken a very public battering. The business has been dragged through a series of high profile scandals accompanied by a cacophony of negative media headlines. All of its challenges – horsemeat, the £263m accounting ‘black hole’, nose diving sales - have been aired in public. The brand has weathered a series of PR nightmares that have corresponded with significant dips in share price. These challenges may have dented perceptions of the brand but Tesco has some significant strengths to build on: it is the largest grocer in the UK with over 28% market share and is one of the most recognised brands in the country. It operates in 12 countries, employs half a million people and caters for over 80m shopping trips every week. It also has an interesting rich heritage and storytelling potential that it could leverage, having been founded in 1919. To inject brand value into Tesco, Davies, alongside marketing chief Robin Terrell, needs to refocus the brand promise and deliver. As Amanda Phillips, head of UK marketing at Millward Brown, argues, Tesco's problems have been "compounded" by a "fragmented approach to communications with variation in messages from all the different parts of the business." But, she adds, the appointment of Dave Lewis is "precisely" indicative of Tesco tackling this challenge and looking to bring "Unilever focus to the brand." BBH, which was appointed as Tesco's ad agency in January, will have its work cut out to rediscover and reaffirm Tesco's brand purpose. Tesco, a mid-priced retailer, has lost what it stands for. Whereas M&S and Waitrose pin communications around quality and customer service and Lidl and Aldi shout about budget, no frills shopping, Tesco – along with other ‘middle ground’ counterparts, has forgotten its brand promise. This is reflected in the data from Millward Brown, which suggests that the discounters are succeeding because they have "articulated and clearly communicated what they stand for." With a long heritage and largest store estate, there are positive things Tesco could communicate. The business has been in defence mode for too long and needs to enact a more proactive strategy that will let it act like a market leader. Amanda Phillips argues that like the rest of the big four, Tesco has been too focused on price since the recession and needs to bring focus to the heart of the business. The grocery industry is in a state of flux. New players have emerged and shopping channels have evolved, meaning that top-up shops and online have pushed out the monthly shop. Disruption is the new norm and Davies will have a job on his hands to navigate - and more importantly - pre-empt the next big thing. Tesco must start acting like a market leader again, coming first to market with new concepts and technologies - just as it did with Clubcard in the 1990s. 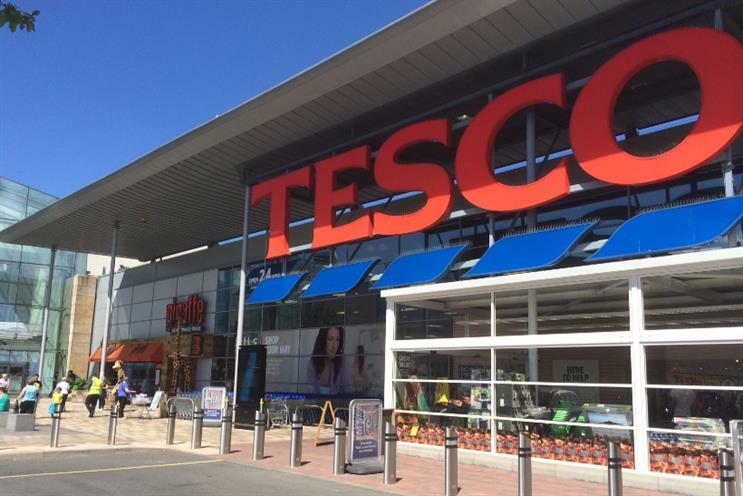 As Kate Jones recently wrote for Marketing, a resurgent Tesco could be the next big threat that its competitors will face, but it will need to start acting with agility to demonstrate it can bounce back. Tesco once had the edge with its Clubcard, but now with loyalty schemes a plenty, as well as prolific vouchering, BOGOFs and promotions, consumers are feeling disillusioned with the grocery sector as a whole. There is a lack of trust in retail, with consumers scouring for the best deals. Tesco needs to move beyond just price to improve its customer offer and give consumers a reason to shop with the brand over its competitors.